Vancity Buzz started as an idea conjured up between two friends over video games – it’s now become one of the largest digital publications in western Canada and landed co-founder Manny Bahia on BCBusiness’ Top 30 Under 30 list, which celebrates some of the province’s most outstanding young business moguls. The website is a place where readers can access the latest information on culture, entertainment, sports, politics, business and more. In short, the site and its social media outlets provide readers with an accessible hub to all things YVR. The blog’s origination can be attributed to co-founders Bahia and Karm Sumal’s weekly video game night in Sumal’s parents’ basement – a ritual that continues to this day. The long-time friends were inspired by their love for the city, and their desire to challenge the “no fun” stigma that was plaguing Vancouver at the time. “We wanted to show people all the fun things there are to do in the city, but also provide some discussion in creating more positivity in Vancouver, connecting Vancouverites to their city,” says Bahia, who serves as Vancity Buzz’s chief business development officer. Bahia and Sumal had the foresight to determine what their audience wanted, and how they wanted it. “People don’t have time to read long-form articles and sift through a lot of information to find what they’re looking for. People just want it. They want to get in, get what they want and that’s it,” says Bahia, co-founder and chief business development officer. The publication now generates a seven-figure revenue and has 60 staff members. It also attracts 2.2 million unique visitors and about 6.6 million page views per month. Bahia and Sumal have found success despite neither having a background in journalism. Bahia, however, has always been entrepreneurial, dabbling in website design by the age of 11. 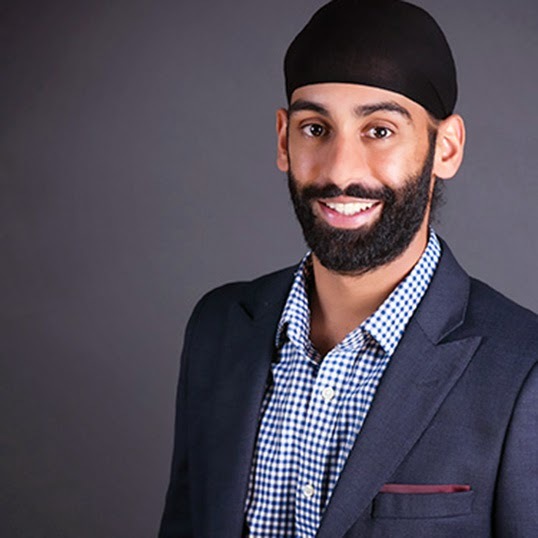 A Simon Fraser University business administration and economics alumni, he began his career in real estate but opted to forgo this path upon realizing the potential of Vancity Buzz. “I realized I needed to focus on one thing and that was Vancity Buzz, and put my heart and soul into it 100 per cent,” says Bahia. Receiving one of BCBusiness’ Top 30 Under 30 awards shows the decision has paid off. Bahia attributes his victory to the team at Vancity Buzz, and is thankful for the opportunity it provides him to give back to the community. “Growing up in South Vancouver at a time when we didn’t have many role models, we didn’t have many people to look up to in our community. So providing that and giving back to the kids today was important,” Bahia says. Bahia and the Vancity Buzz team are working on a new app coming out in May, as well as their ever-popular summer patio guide and a Vancouver condo guide. They are focusing on their project partnerships with start-up companies and on building community relationships offline. The publication hopes to start organizing its own events. Vancity Buzz co-founded the New Years Eve fireworks, and intends to organize a New Years’ Eve event that Bahia says will boost Vancouver’s reputation as a world-class city. “Our goal is to do more in Vancouver, create positive change, have discussions about issues and present them in an easy to consume manner. [We’re] always innovating to see where technology is headed and staying ahead of the curve,” says Bahia. Readers will have to stay tuned for even more exciting developments at Vancity Buzz that, for now, Bahia is keeping under wraps. “We’re just excited, we’re pumped and we have a lot of cool things in store for metro Vancouver and maybe beyond metro Vancouver,” says Bahia.